This is Crystal most successful custom feature, you will not find any other p-server that offered 24/7 jobbing wars. There is always traders and hunters and thiefs battling it out to make there high amounts of gold on the server. Welcome to how silkroad use to be! Jobbing Fun! >An exceptional launcher, made ​​especially for you, automatically update. >Changed limit stackable, so you could take more potions the spot if they could carry more elixirów with you. >The new glow effects, diversifying the gameplay. >Event Area 1lvl-50lvl - Here spawn Uniq like :Tiger Girl , Captain Ivy , Cerberus , Uruchi . >Event Area 50lvl-80lvl -Here spawn Uniq like : Isyutaru , Lord Yarkan and uniq like battle golem , white knight etc. >Event Area 80lvl-100lvl - Here spawn Uniq like : Demon Shaitan , Battle Golem , Tai - Sui , Roc. > New Uniq, pleasure game. <White Knight - spawn penon warriors. 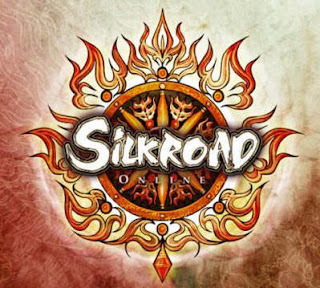 The Crystal Silkroad team is made up in different departments to ensure the best level of quality can be delivered to our community members and players. Check out the team page for a detailed list. > Carefully chosen payment method, you can easily get Silkie. Silkie will soon be added for purchases via SMS, transfer, lots of options. Our update will be announced, will last up to an hour.